The LX LP series hot tub pumps are one of the most common single speed pumps used on Chinese manufactured hot tubs and swim spas as well as many other newer hot tub and swim spa brands appearing on the European market. The LP series or pumps will serve as a booster pump to deliver a high volume of water through hot tub jets. 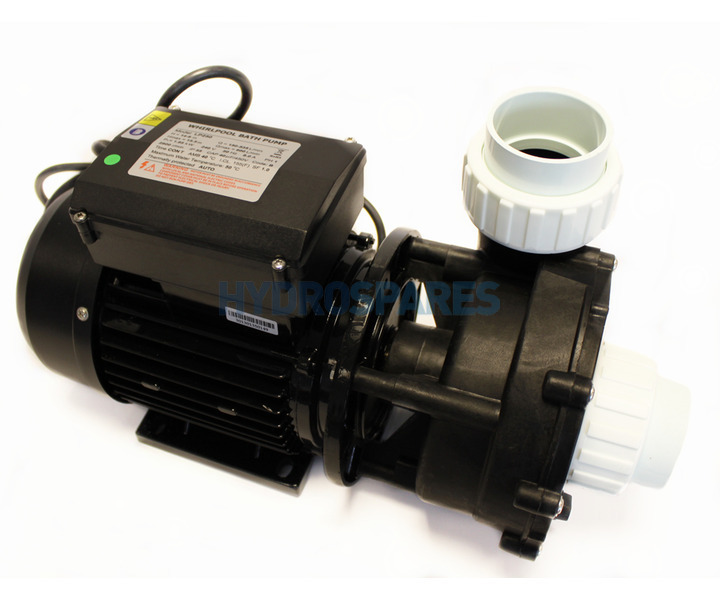 If you require a 2 speed pump from LX this would be the WP pump series. A direct replacement for LX LP300 Single Speed Spa Pump with 2.00" connections manufactured after 2008**. 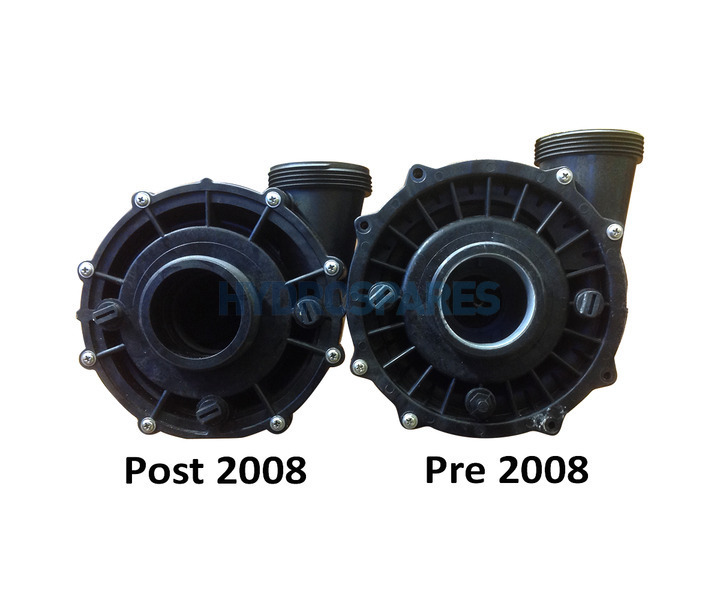 The LP series is also the pump of choice for both Jacuzzi and Sundance spas, replacing the discontinued Theramax pumps and can also be used to replace similar higher priced pumps from other manufactures at a more economical price. 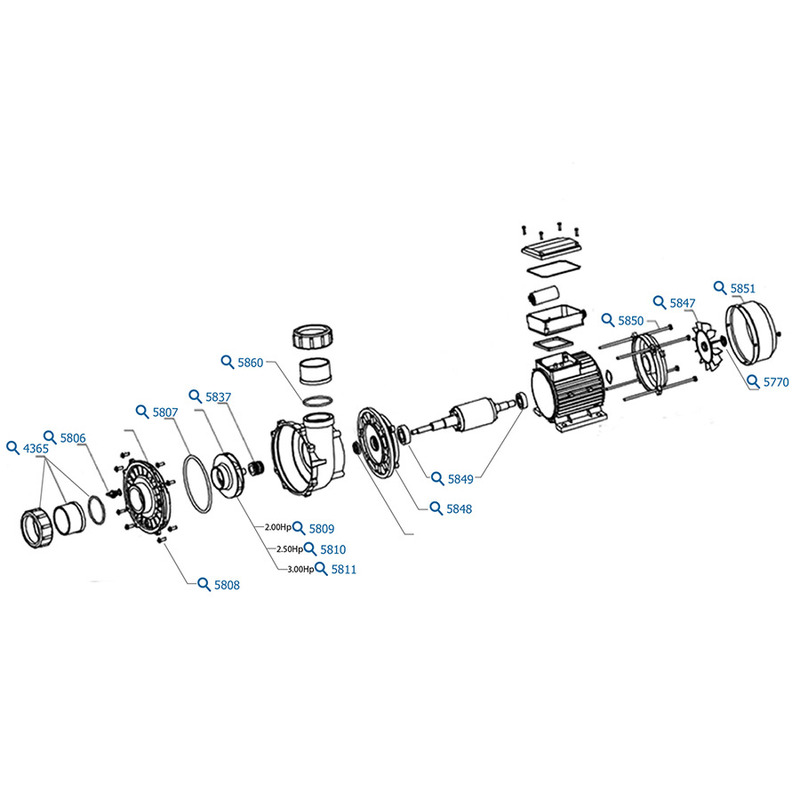 **IMPORTANT NOTE: Older (Pre 2008) LP & WP pumps and wet ends are manufactured with a shorter suction (approx. 15mm) and discharge port (approx. 30mm). You may find on some hot tubs with very rigid plumbing that the newer versions will not line up with the pipework. The wet end faceplate moulding is different and they are also "open" on the rear of the wet end casing as opposed to the pre 08 wet ends which are encased. SEE IMAGES. If you are replacing a pre '08 version (wet end is labeled B351-03) we are finding that the Waterway Executive equivalent tends to fit better.